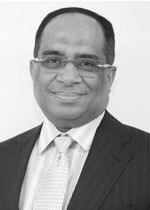 Mr Sanjay Varma is a highly respected Consultant Plastic Surgeon at Leicester Royal Infirmary with a busy private practice at Nuffield Health Leicester Hospital. Mr Varma offers all kinds of Plastic Surgery including abdominoplasty, arm and thigh reduction, breast enlargement/reduction/reconstruction/uplift, ear reshaping, blepharoplasty (cosmetic surgery of the eyes), facelift, hand surgery, liposuction, rhinoplasty and mole and skin cancer removal. Mr Varma recently appeared on Channel 4’s Embarrassing Bodies undertaking a huge abdominoplasty (tummy tuck) and hernia repair case with his surgeon colleague Mr Sukhbir Ubhi, Consultant General Surgeon. A young lady had been left with horrendous scarring as a result of previous bowel surgery (performed at another hospital). You can read more about Triona’s story here. Mr Sanjay Varma does not hold a share or financial interest in this hospital, another Nuffield Health hospital or the company. Mr Sanjay Varma does not have a share or financial interest in equipment used at this hospital or another Nuffield Health hospital. Mr Sanjay Varma does not hold any paid advisory role(s) at this hospital or on behalf of Nuffield Health.